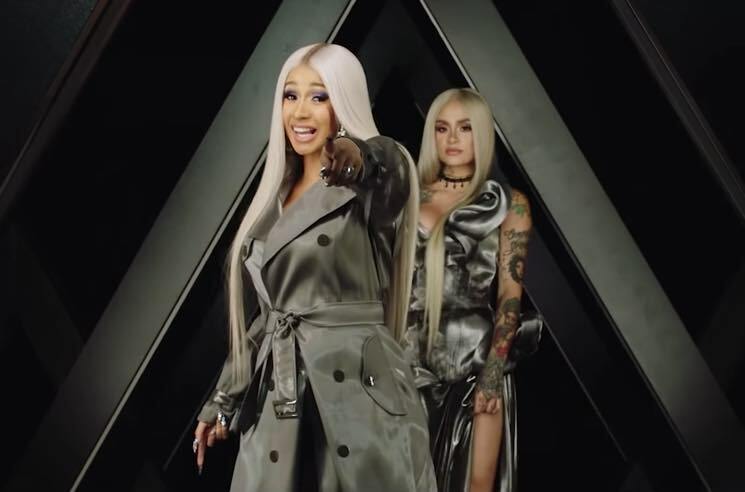 Cardi B has been popping up on singles from Maroon 5, Lil Yachty, Rita Ora and Jennifer Lopez as of late, but she's dipped back into Invasion of Privacy to treat latest single "Ring" to a music video. The cut features Kehlani on vocals, so it only makes sense that she's in the video too. The clip features the rapper and singer, both sporting icy blond hair, trapped in telephone booths and tangled up in wires as they lament their significant others' lack of communication. Watch the Mike Ho-directed video for "Ring" below.